DeSean Jackson, will indeed miss Sunday’s game against the Eagles with a hamstring injury, and possibly a few more weeks. 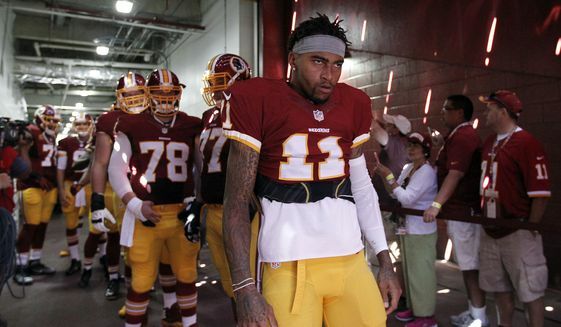 Jackson injured his hamstring in the Redskins’ season-opening loss to the Dolphins and has not played since. ESPN’s Britt McHenry reports that Jackson is “not even close” for Sunday and could possibly be out longer than expected. Jackson has caught nine balls for 243 yards and one touchdown in two games against the Eagles.